Why an average member become an active member? What are his motivations? What has helped him most to be so interested and active? Why is he doing this and what pushed him to move forward? Since the creation of the NethServer community all those questions have haunted me but I can’t give them the proper answers since understanding what is the trigger the activate the engaging it’s not a trivial problem. Luckily in the last period I have seen a few members become more enagaged, more motivated to help people and participate to the discussions then I asked to myself “Why not ask them?” maybe they could put me on the right track, therefore here’s the result. In order to attract active members you need to be known as a welcoming community, create a post for “say hi!” to newcomers and asking them to introduce themself could help. The more time you spend with newcomers when they join, the more likely they will become regular members, as a matter of fact at NethServer Community every Monday we’re used welcoming new members asking who are they, what they’re working on and what brings them to NethServer. As @richard_millington said Maintain a community active is hard because most social groups have a big retention problem. People join, participate, and leave since they use the group solely as a place to get free advice but it worth spending time on it given that a lot of activity stimulates even more activity. A good community is the place where people are not afraid to ask ‘stupid questions’, someone else will learn from every stupid question that you ask. 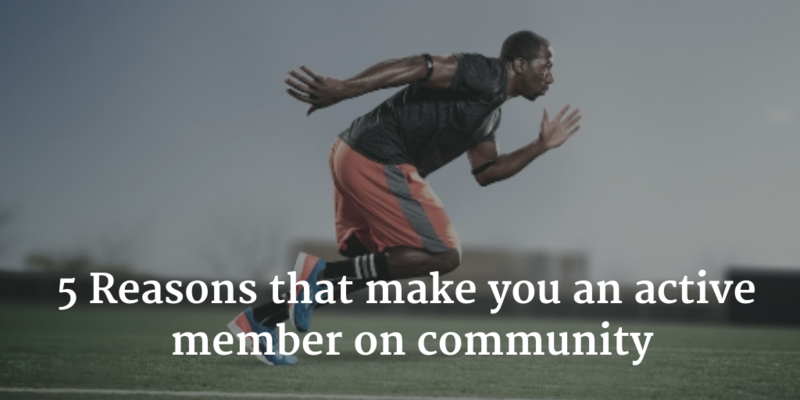 Community is about mutual relations and this means that people help you, so that you help them. You share your newly gained knowledge, so others can benefit. You get help, and then you help others by replying to their topics. Listening to your community is extremely important because feedback is great, in our case community makes NethServer better and more successful since we have learned that listening to your people should matter to your business. The best way to make people feel you’re listening to them is to actually listen to them. It’s only once that you’ve fully listened to a member that they’re willing to listen to you. In case your community is product-based, product quality matters. You need a good product to attract new members otherwise you have to reply to repeated complaints. I’d love to hear your thoughts on reasons to become an active member on community. Is there anything new you picked up in this post you’re going to try? What’s worked for you in the past? Let me know in the comments. I’m eager to hear your experiences and can’t wait to jump in and join the conversations. NethServer September Development Updates NethServer 6.7 Released!